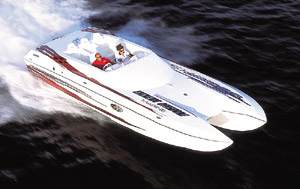 The perfect go-fast catamaran meets the perfect power package in the Skater 388. A former offshore powerboat racing world champion, Danny DeSantis has owned every catamaran model Skater Powerboats in Douglas, Mich., has ever built—except the coveted 388. 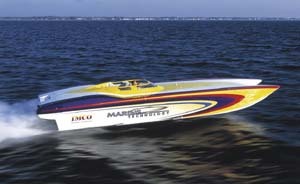 The 38-footer, which is based off Skater’s famed 36-foot offering and has dominated Super Boat International’s Superboat class for several years, could be the best model Skater has ever built—in race or pleasure applications—at least as far as longtime Skater men such as John Tomlinson of TNT Custom Marine in Miami and Grant Bruggemann of Grant’s Signature Racing across the state in Bradenton are concerned. With his new Skater 388, Danny DeSantis has owned every Skater catamaran ever built. Photos by Pete Boden/Shoot 2 Thrill Pix. So DeSantis, who owns McLaren of Boston in Norwell, Mass., had to have one. 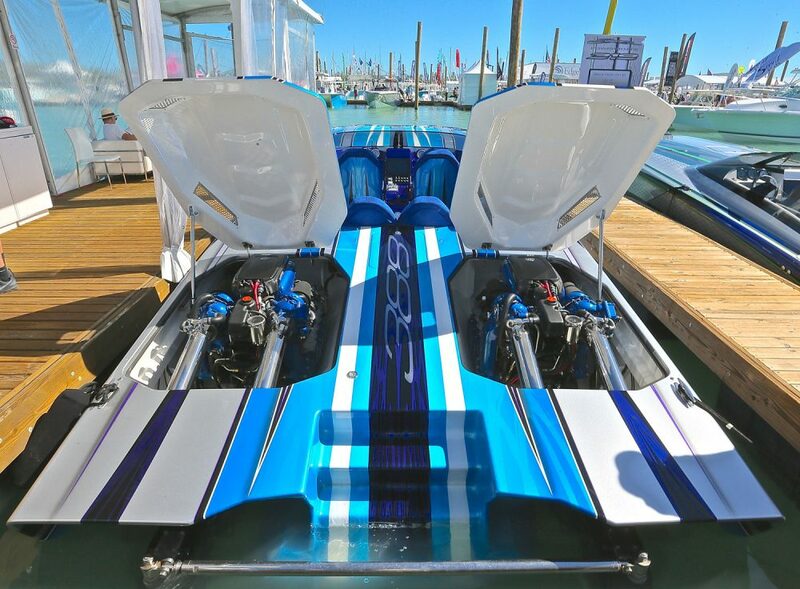 During the 2015 SBI Offshore World Championships in Key West, Fla., he ordered the 38-footer and twin Mercury Racing 1100 engines as the power package for his new prize. 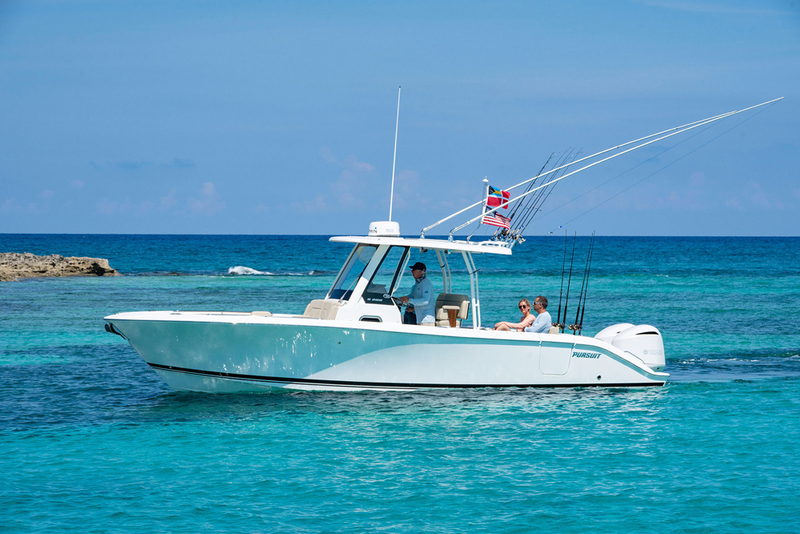 DeSantis took delivery of the boat at the 2018 Miami International Boat Show last month. It was the first time he’d seen, much less driven, the gorgeous catamaran—his 13th from Skater. As an experienced Skater owner, DeSantis expected the build to take the time it did. But his patience was rewarded, and not just in the immaculate finished product. Since he ordered the boat, Mercury Racing has added a three-year warranty to its quad-cam four-valve turbocharged 1,100-hp engine package. 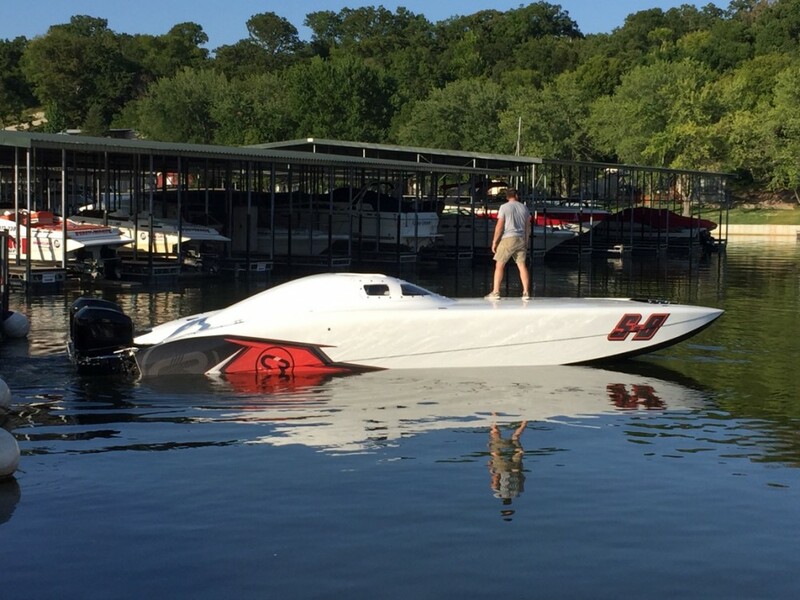 The owner found what he was looking for in reliable power in Mercury Racing 1100 engines, which now have three-year warranties. DeSantis became even more convinced he’d made the right move after his first test drive in the boat, which boasts an Alcantara-finished interior with its bucket seats and carpet accented with the McLaren “speed mark. 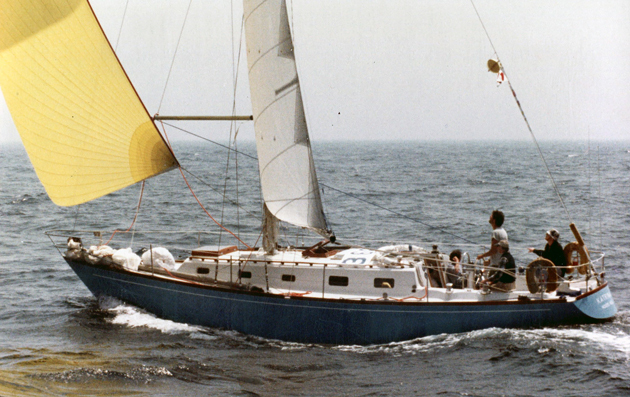 All paintwork—DeSantis wife, Gisele, handled the boat’s interior and exterior color scheme—was handled in house at Skater. 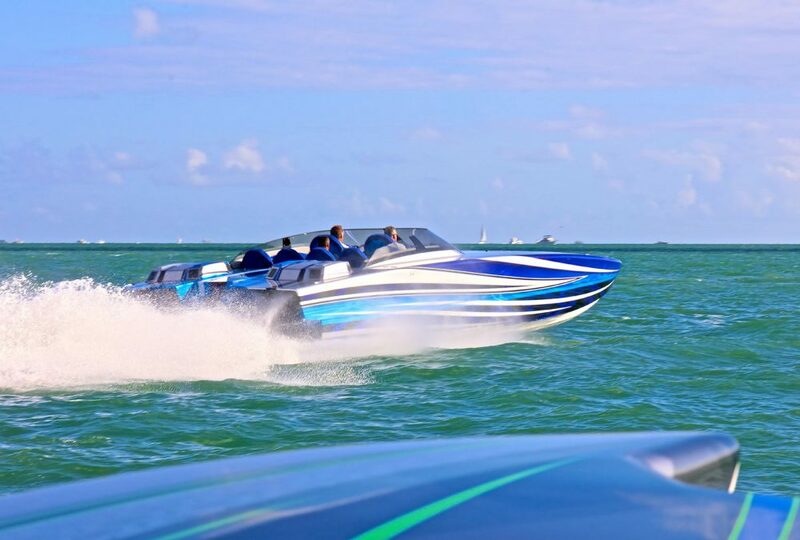 Although the catamaran reportedly is capable of reaching 170, he ran it to 135 mph on Biscayne Bay with “a lot left over” in the throttles.